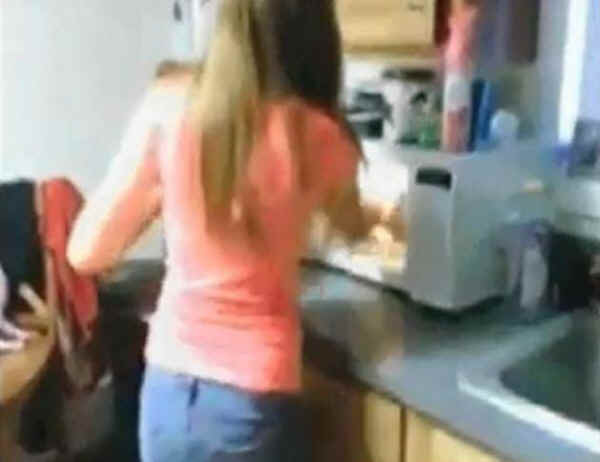 (Cat - Abuse - 17) [Photo quality poor as it was taken from Twitter video] September 2013 — Authorities say two teenage girls from Maine put an 8-week-old kitten in a microwave oven and turned it on. South Portland police began investigating after getting numerous tips when a roughly 10-second video of their actions showed up on Twitter last week. The video shows one girl place the cat in the microwave, close the door and appear to turn it on. Police aren't sure how long the oven was on. 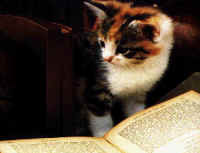 The other girl then removes the kitten, estimated to be about 8 weeks old. The girls face animal cruelty charges and were issued summonses Monday. They are both 15-year-old South Portland High School students. Their names were not released because they are juveniles. The kitten survived and has been turned over to an animal shelter and named Miracle. Photo from: NY Daily News.